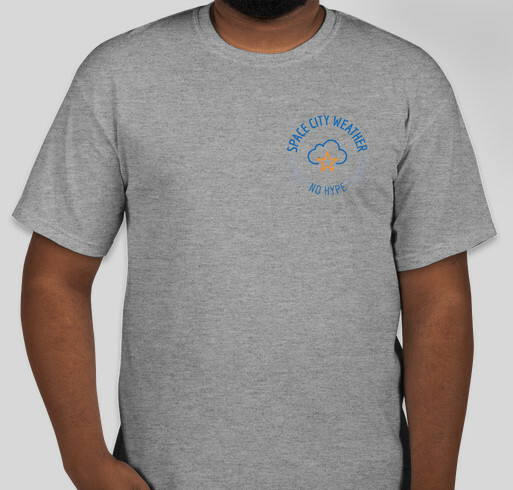 Buy a shirt to support your favorite weather site! All funds raised will be paid directly to Eric Berger for To support Space City Weather. Founded a year ago, Space City Weather is a completely free site devoted to covering Houston weather news and forecasting with accuracy and without hype. It takes time to produce the site, and pay for servers, so we appreciate any help we can get. Hands-down, the best weather site out there. Y'all have kept us out of more than one flash flood this past year! My son needs money; he can't support his family. Love and Appreciate Space City Weather! Thank you for your dedication Eric, Matt, and Braniff! Share Why You Support "Space City Weather t-shirt drive"